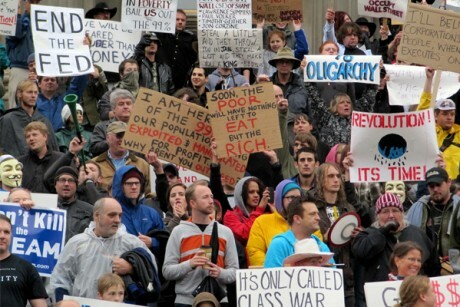 which way forward for the revolutionary left? This year marks the 90th Anniversary of the foundation of the Communist Part of Great Britain, which existed until its disbandment in 1991. Without a doubt the foundation of the CPGB in 1920 was an event of great importance in the history of the workers’ movement in the UK. Its creation was directly linked to the revolutionary upsurge which followed the First World War, this brought about a recomposition of the communist movement which crystallised in the Third, Communist International centred in Soviet Russia. This period and the unity process which took place is not only of historical interest but holds many lessons for our own generation in our efforts to bring about a new recomposition of the communist movement. The following article appeared in The Socialist, official organ of the Socialist Labour Party, No.18, May 6, 1920. 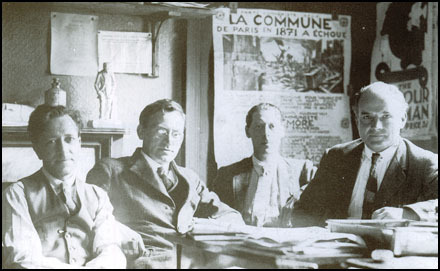 The SLP was founded by Scots/Irish revolutionary James Connolly, and was influenced by the American Marxist Daniel De Leon. The SLP however was never as doctrinaire as the American SLP and they developed pioneering ideas of ‘communism from below’ and a strong critique of state-socialism that anticipated many of the problems of the 20th century and today. The following article is a contribution to the discussion on communist attitudes to elections and participation in institutions such as local authorities. The issues addressed in this revolutionary period are very much alive today, not least of all the familiar picture of rotten Labour councillors. This article also helps inform our own discussions on these issues in the 21st century. Jack Sprung was one of those militant shop stewards who were a feature in The Commune’s uncaptive minds series of meetings on the 1970s. He was a steward for many years at the Standard Triumph plant in Coventry, part of British Leyland. He was also a political activist, as a member of the Coventry Workers Association, a breakaway from the Communist Party. Jack always claimed that shop stewards were a step on the way to workers’ control of the workplace. He was a fan of Mike Cooley, the initiator of the “Lucas Workers’ Corporate Plan”. The Lucas workers were threatened with the closure of their factory and worked out a plan where their skills and the machinery at Lucas could be used to build 150 socially useful products like kidney dialysis machines and a road-rail bus. They published their plan in 1976. Brian Pearce, who has died aged 93, was one of the most acute scholars of Russian history and British communism never to have held an academic post. Of the historians who broke with the Communist party of Great Britain (CPGB) after the Khrushchev “secret speech” and the suppression of the Hungarian revolution in 1956, he was the most insistent on the need for historical analysis of the party’s record. A prodigious translator from both Russian and French, Pearce won the Scott-Moncrieff prize three times – in 1976 for Marcel Liebman’s Leninism Under Lenin, in 1980 for Roland Mousnier’s The Institutions of French Monarchy Under Absolutism, and in 1991 for Paul Veyne’s Bread and Circuses. Literary translation was his main source of income after he stopped working for the CPGB, for which he did various journalistic, cultural relations and translation jobs after leaving the civil service in 1950.